This blue childs ID tag is anodised aluminium and shows through silver when engraved, giving an easy to read contrast. Add your phone number so that your child is always able to contact you. The ID tag is supplied on a split ring so it can be attached to a rucksack or school bag. Engraving and postage is free for the child ID tag. 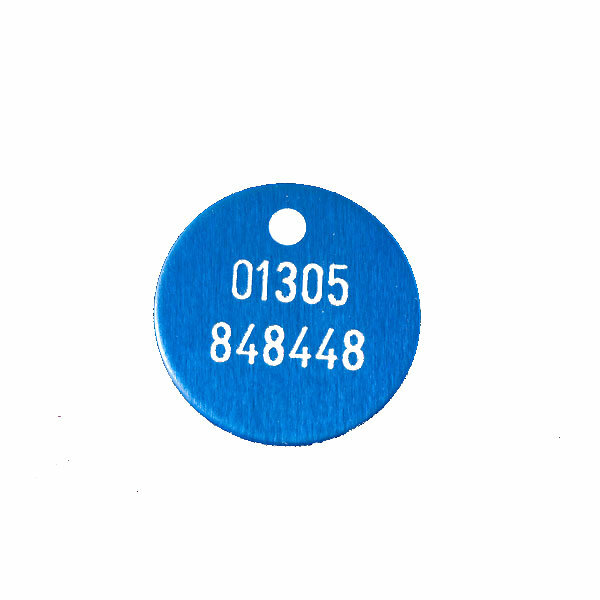 Each disc ID tag is £4.00 but buy an additional disc ID tag with the same engraving as the first for an extra £3.00.